Campbell’s of Ardara was established in 1963 by Jonjo and Philomena Campbell as a family business sourcing locally the finest tweeds and knitwear for sale in their small store. Starting a small business in 1960’s Ireland was quite a challenge but through perseverance, courage and true grit they succeeded in building a business. A shop that attracted visitors from across the World not just for its beautifully crafted merchandise but for the fun and banter that went on with every sale. The business is now run by Hugh Campbell and by holding to the Campbell’s core values of quality merchandise, excellent customer service and a sprinkling of good humour on top of everything, thankfully the business is going from strength to strength. 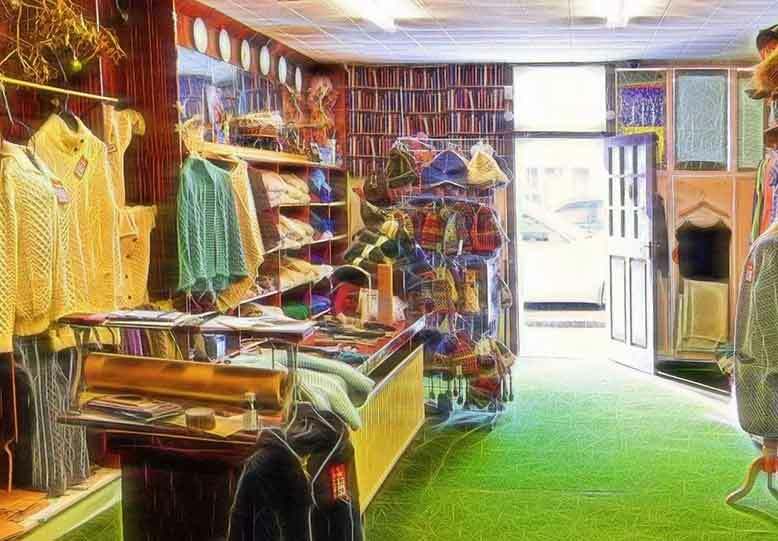 Campbell’s of Ardara is a modern twist on the traditional tweed and knitwear shop, offering our first-rate knitwear, tweeds plus arts & crafts products. We have built this website to allow our friends from across the world to have the opportunity to purchasing our unique products on those times they can’t come and see us. We hope you like what we have created and that it mirrors the experience of your visit to us in Donegal. In Campbell’s we offer the finest range of Women’s/Men’s knitwear ranging from Fisherman out of Ireland, Original Aran Co, Rossan and Pachamamma. The range includes Merino, Angora, Cashmere, Kilcarra fleck yarn and baby Alpaca wool. We also have the finest range of world famous Mc Nutts Woolen Rugs, Throws, Scarves and pachmina’s and a wide range of their linen scarves and Pachmina’s. We also have a wide range of Tweed Hats and Waistcoats form such suppliers as Hatman & Doogans. We have a range of socks from Martins and Doogan as well.